We’re on a roll at Opera. The all-new Opera Mini has been well received all over the world. It was great to see Opera Mini among the top 3 apps in Google Play in so many countries. And, it’s all thanks to you and your continual support and feedback, which has helped us revamp our lean, mean machine into this cool new avatar. While nothing can beat the loyalty of Opera lovers, here’s some more awesome news that will give you even more reasons to stick with your favorite browser. Cigniti’s research has shown that Opera Mini consumes 14% less battery and 89% less data, compared to other mobile browsers. 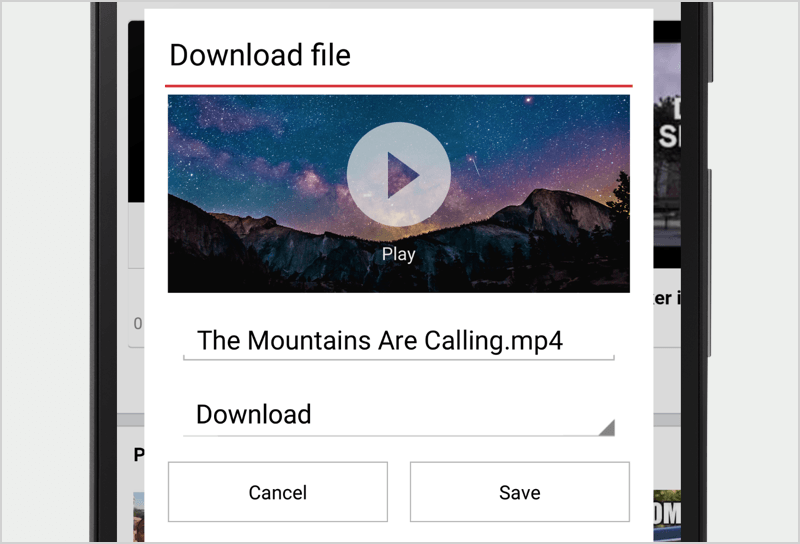 The tests evaluated the performance of Opera Mini against other leading mobile browsers such as Google Chrome, UC browser, CM browser and UC Mini. Data usage is something we all worry about. You spend all day browsing on social networks, e-com portals, video sites and what not. No wonder your data packs get exhausted in no time! 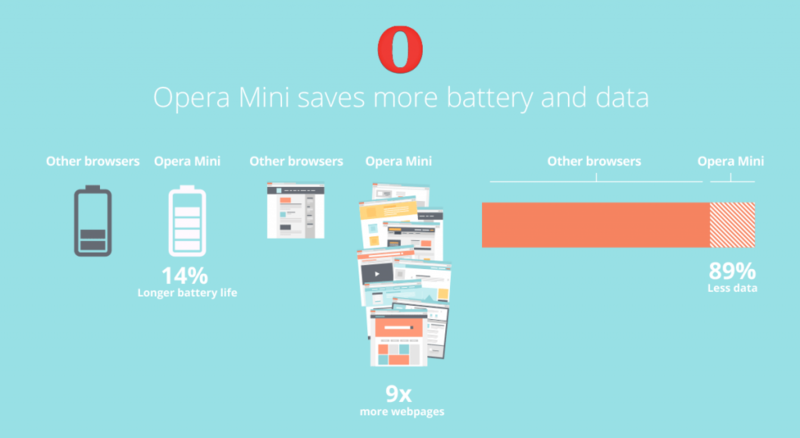 With Opera Mini, though, you’ll be consuming nearly 90% less data than with other mobile browsers. In other words, with Opera Mini, you can browse 9-times more websites, compared to other browsers. It can be scary waiting for that monthly mobile bill to arrive. All that chilling online comes at a price, doesn’t it? And, if we have overstepped on those budget limits, it means we have to cut down on the other good things in life (like that awesome new bag or those sport tickets). As the results show, if you are on the pay-as-you-use data plan, for every 1 GB of data used, browsing using other browsers on an average will cost users between Rs. 1,465 to 1,369, while using Opera Mini costs only Rs. 130. That means Opera Mini users can save upto Rs 1,330 every month while browsing(*1). Smartphones are fantastic, but they’d be even better if they had a smart battery as well! Sure, there are power banks on the market, but they can be a bit bulky to carry around all the time. If only there were another way. Well, it turns out that having a smart browser can make all the difference to your smartphone’s battery life. According to the study, Opera Mini consumes 14% less battery than other mobile browsers. So, you can surf longer without worrying about the charge. So, the next time someone asks you why you choose Opera Mini over other browsers, share these stats and point them towards a download, so they can see for themselves! Tests were conducted by Cigniti on [Airtel 2G and 3G] network using [Google Chrome, UC browser, CM browser, UC Mini and Opera Mini] on various Android devices charged to 100% before beginning a session. Each session lasted 30 minutes and visited each of the following websites: quikr.com, facebook.com, flipkart.com, snapdeal.com, youtube.com and espncricinfo.com. Devices used in the test were the Samsung Galaxy S5 [4.4.2], the Samsung Galaxy Note 4 [4.4.4], the Samsung Galaxy Grand 2 [4.4.2], the Samsung Galaxy Tab 4 [4.4.2] and Google’s Nexus 9 [5.0.1]. (*1) Rates are taken at 2 paisa per 10 KB.